Here's what Chris Verrette and I played on Sunday at St. James Cathedral. 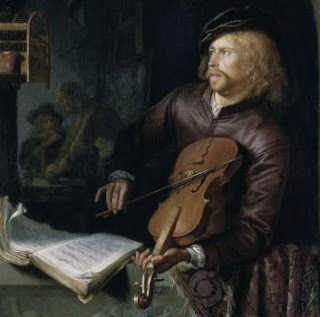 Chris played with the violin in the short ribs (well, maybe not quite that low, but Matteis was said to play with it down there quite late in the 17th century). Anon., Passacaglia from Sonate "Wie schon leuchtet der Morgenstern"